If you’re looking to set yourself up for a good financial future, you need to start early. Many people ignore this sort of good money-management and find themselves in a tough financial position when they get older. Meanwhile, those who made the right choices early on can make things much more comfortable for themselves. Even if it requires a bit of restraint and careful planning, the right financial management could set you up well for retirement and beyond. You need to start paying into your pension as early as possible. It’s one of the most important parts of growing a good financial future for yourself in retirement. If you’ve got work-based pension plans, that’s a good place to start – but you might also want to look into putting a bit more away in a private pension. Diversifying these savings is a good idea, and a private pension can provide you with extra security and benefits. Try thinking about whether you want to let The Entrust Group handle your retirement account – as this could have a few key benefits. One great investment that should still be a sure-thing is property. If you can afford to buy a property and rent it out, you should benefit from not only good yields but also hopefully growing property prices. While the property isn’t always the best thing to invest in, it’s still a reasonably secure place to put your money. Imagine if you’d invested in property in the right location 50 years ago. Every debt you’ve got could be nibbling away at your financial potential. Don’t let your debts grow and become unmanageable. Make sure you keep on top of everything you owe and pay off debts as soon as you possibly can. Don’t let major expenditures like new windows take you by surprise. Make sure you’ve got contingency cash for when things need paying for. You might like treating yourself to luxuries, but how many of these are really necessary for reality? If you want to provide for your future, you might want to decrease spending on a day-to-day basis and increase the amount you save. The more you can save, the better – and you could soon see your capital compound into huge amounts if you sit on it for a while. It’s good to have savings – but don’t put them all in the same place. Not only is this slightly risky, but it also might not provide you with the best options for growth. Try investing some in stocks (if you know what you’re doing), leaving some in the bank, keeping some in property and looking at other places to help your money grow. Some of the best investment portfolios are the most diverse ones. 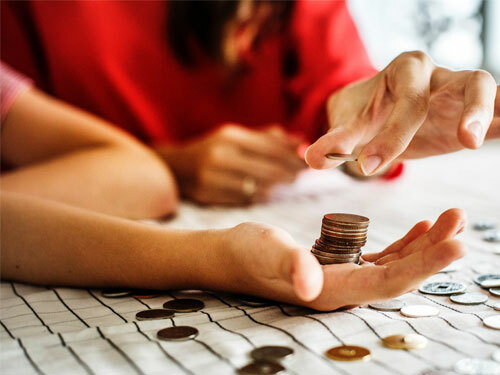 If you’re not sure how to properly save your money or how best to plan for retirement, then seek out some professional advice. You might be able to find someone free to talk to in your local area. Just make sure you get advice from someone who isn’t trying to sell you something. *Disclosure: This post was submitted on behalf of PennyMindingMom.